If you’re a nightclub owner whose goal is to be so hot, nobody can get in, you need a bouncer who will make it uber difficult to get behind that velvet rope. But you’re not a club owner. (At least, I don’t think.) You’re a business owner. Your goal isn’t to keep people out…it’s to make it as easy as possible to come rushing in . But unless you’re careful, your subject lines could be unintentional bouncers, keeping readers from daring to enter your emails. Let’s dig inside my email vault and look at 9 subject lines that have worked really well in my biz — to the tune of 40-70%+ open rates. I know. Bonkers, right? But it’s true. I’ve been shopping like an absolute maniac the last few days of my month here in the US. And for someone who describes herself as “loves nice things but hates shopping”…that’s a real rarity. I’m not a naming savant. Naming programs, modules, webinars, strategies, you name it, is actually my very least favorite task as a copywriter. The Golden Trio Naming Method works precisely because I’m NOT a natural. I had to find a way to make it really easy when my clients came to me in need or the perfect name for their thing. 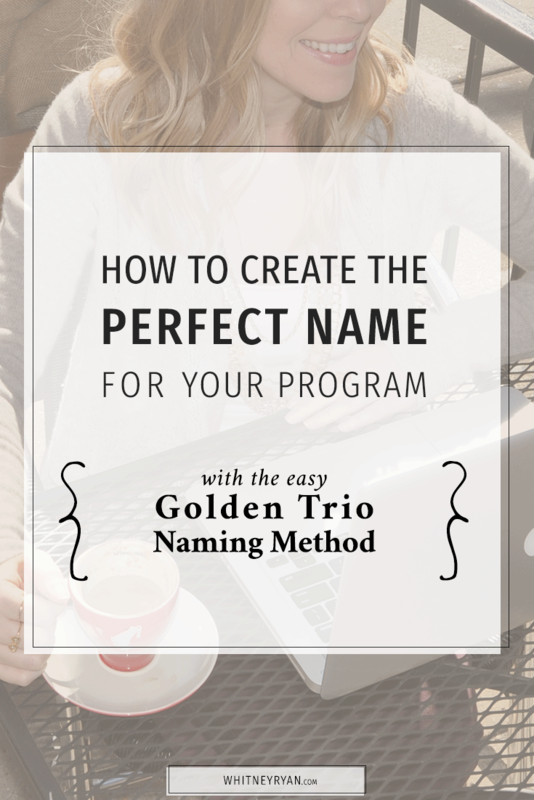 That’s when I developed this simple three-step naming strategy that works every time. Should I Send My Sales Emails to My Entire List? 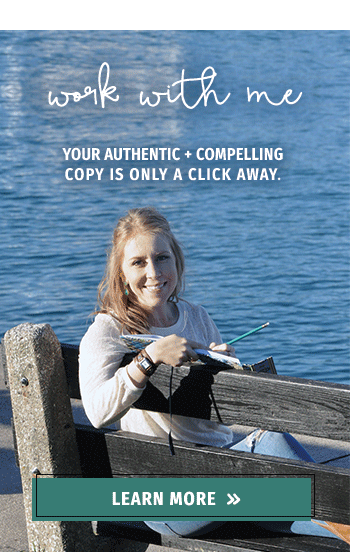 The logic is simple: you’ve got uber compelling sales copy that is going to motivate people to click and buy. So you want as many people as possible to get those messages, right? I won’t try to convince you otherwise! There’s so much to do. So many potential strategies to consider. And a crazy amount of moving pieces to keep track of. The best plan of attack is to focus your limited energy on the things that matter most. Yes, there are a million and one things you could do. But that doesn’t mean you have to do #allofthethings. One thing we all want as business owners? More and better client testimonials. 68% of buyers read reviews as they’re building their short-list of purchase options. 71% of people agree that consumer reviews make them more comfortable that they’re buying the right product/service. I’ve had veggies on my mind a lot lately. With farmers’ markets in full force for the season and a teeny little herb garden growing on the patio, we’re enjoying a plethora of fresh produce in good ol’ NJ. It’s really amazing what a difference a freshly-picked ingredient makes. I mean, when you cut yourself a bite of bright red tomato over a thick slice of fresh mozzarella drizzled with thick, syrupy balsamic vinegar? Omg HEAVEN. You just can’t fake the freshness. No matter how tasty your cheese or how many years your balsamic’s been aging, if the tomato’s underripe, you’re going to have a pretty lifeless bite on your hands. One of the most common problems entrepreneurs face is not generating enough sales with their launches. And tomatoes are to blame. Once you’ve grabbed a reader’s attention with a compelling headline, guess how long you’ve got to keep it? No, seriously, though. Give it a think. How long before the average reader clicks away from your email / blog post / sales page, off into the abyss that is the internet?